This post is in continuation of earlier post: Individual Specific Hidden Spending Flaws (part I). “My car is bigger than yours: If only we could get over this, a large part of the luxury car industry would disappear. Almost all discretionary expenditure happens because we have this yearning for ‘relative wealth’. It does not matter what we earn/get, as long as it is more than others. Many experiments have shown up this irrationality. The root cause is hidden in Darwinian rules of natural survival: a sense of shortage of all life-giving resources, which is why “I, me & mine” has got preserved in us as instinct. Not only do I want to survive, I want to do it at the expense of my competitor. Mental accounting is a term coined by Richard Thaler, Professor of Economics and Behavioral Science at the Graduate School of Business, University of Chicago, considered to be the inventor of field of Behavioral Finance. 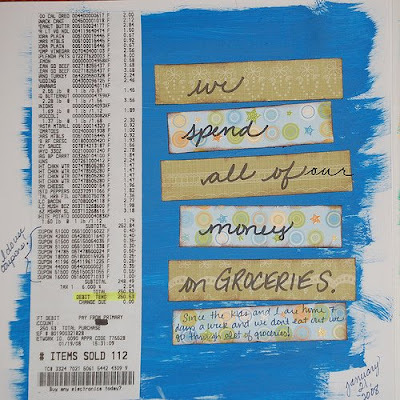 Mental Accounting affects how and how much we choose to spend and has enormous ramifications in our daily life. For example, treating money differently depending on its source – Doesn’t we tend to spend a lot more on frivolous consumption out of income sources seen as one time events and viewed as windfall profits (such as lottery winnings, legacy, bonuses, dividends, gifts, tax refunds, and money received back from life insurance policies) compared to normal paychecks? Mental accounting also explains why many of us keenly grab bargain on things we do not require. When something sells for lower than the mental price we have assigned it, the deal takes priority over the actual utility of the item. It’s like buying a big size doormat; simply because, on a sale, it is available at the prize of small size mat, although our requirement is only for a small size mat. That way, we are able to make a saving in our mental account. 1. Spending more when using a credit card than making cash purchases. 2. Money lying idle in bank account while carrying substantial credit card debt or personal loans. 3. Business organization being less concerned about ‘capital expenditure’ than ‘revenue expenditure’ just because capital expenditure is not routed directly through profit and loss account. 4. Viewing discount in relative rather than absolute terms. For example, going great lengths to avail discount of Rs.10 on purchases worth Rs.50, whereas not being much concerned about same Rs.10 discount while making a spending decision involving Rs.1000. Although, in percentage, it is twenty per cent and one per cent respectively, but the absolute amount of discount remains same in both the cases. For more such examples, see this post by Harish Rao on Mental Accounting. Mental accounting has ramifications in budgeting also. Rational thinking dictates that if there is a potential saving under one category, it should either be directed towards shortage, if any, under any other category or should go towards savings. In contrast to rational thinking, mental budgeting predicts that once we earmark a particular amount for a specific purpose, we tend to spend until funds are depleted under that particular category, irrespective of shortage/excess in any other category. For example, suppose we allocate Rs.4000 per month on food expenses based on our past few months spending, and suddenly the food prices decline considerably and, as a result, there is a surplus of, say, Rs.1800. Instead of shifting this surplus “food money” to another category, where there may be a shortage of funds, we overlook this opportunity and tend to spend more on food consumption. Another good example is imposing tight limits on grocery purchases; however, freely spending while dining out, because grocery purchase comes under food money while dining out comes under entertainment expenses. Lure and availability of easy credit is also a major factor responsible for our obsession with material goods. Few moments of shopping ecstasy can result in months and years of indebtedness. Money that goes to pay interest, late fees, and other charges makes it tough to channel money for savings. The major factor behind the popularity of credit cards is called decoupling, which means separating payment from consumption. When we pay the cash, we feel the loss right away, which is not the case in using credit cards, where the feeling of pain associated with making the payment gets postponed till the receipt of credit card statement. Moreover, with credit cards the connection between specific purchases and specific payments gets obscured; thus, resulting in further decoupling of payment from purchase. The most important and effective principle of personal finance is to always “Pay Yourself First”. However, most of us do exactly the opposite i.e. Pay Ourselves Last. In a traditional way of saving, spending gets priority over savings; meanwhile, some other expenses come up and, in the end, usually nothing is left over. TCO is a method which considers operating costs incurred during the lifetime of an asset in addition to acquisition / purchase cost of an asset. Put simply, it means considering all relevant costs of an item before making a purchase decision. However, we tend to buy things like expensive gadgets, cars, and houses just because we don’t have any alternate plans for the money, and further these decisions are made without having any idea of the whole picture involved i.e., by ignoring the true and total cost of ownership. If you can come up with any other flaw in our spending habits, please mention in the comment box.